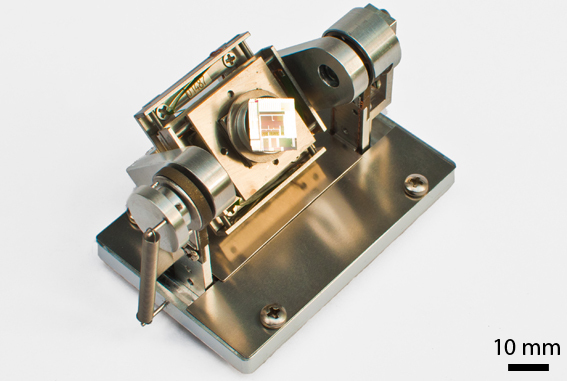 The E5AT stage is a five-axis positioning tool especially designed to allow tilting samples to ±90 deg while allowing unlimited rotation of the sample and keeping the area of interest at the eucentric position. 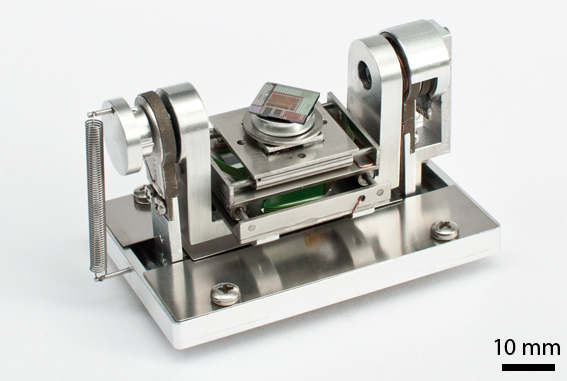 The system consists of a small four-axis substage mounted on a tilting platform. The substage offers a range of 10 mm by 10 mm in the X and Y directions and 3 mm in the Z direction. 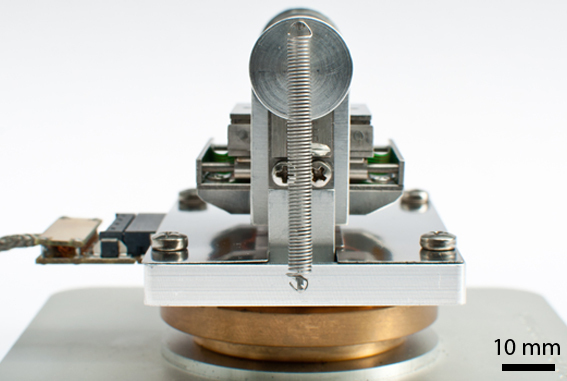 Additionally, the rotational axis allows unlimited rotation of the sample through 360 deg. 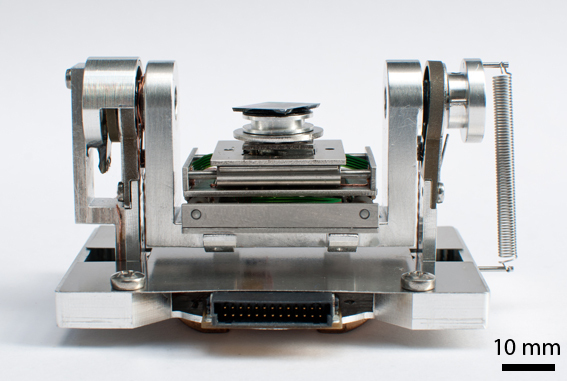 The tilting platform is fitted with a positional encoder with a resolution of 0.1 deg. Below, some videos created with the help of the E5AT are shown. The 'nano flights' are presented with kind permission from Stefan Diller, Wuerzburg, Germany. SCIFOO 2014 nanoflights Trailer from nanoflight on Vimeo. DGE Technikpreis 2013 Regensburg from nanoflight on Vimeo. Pflanzenoberflächen from nanoflight on Vimeo. Schwämme: Aplysina, Ircinia, Thetya from nanoflight on Vimeo. 6 euploea caterpillar from nanoflight on Vimeo. Greta oto (Glas wing butterfly), cocon from nanoflight on Vimeo.